Add the almond milk, cinnamon, allspice, nutmeg, and maple to a small saucepot. Over medium-high heat, bring the mixture to a simmer. Remove from the heat, add in the almond extract, place a lid on a pot, and let steep for 15 minutes. Transfer to the fridge to chill. 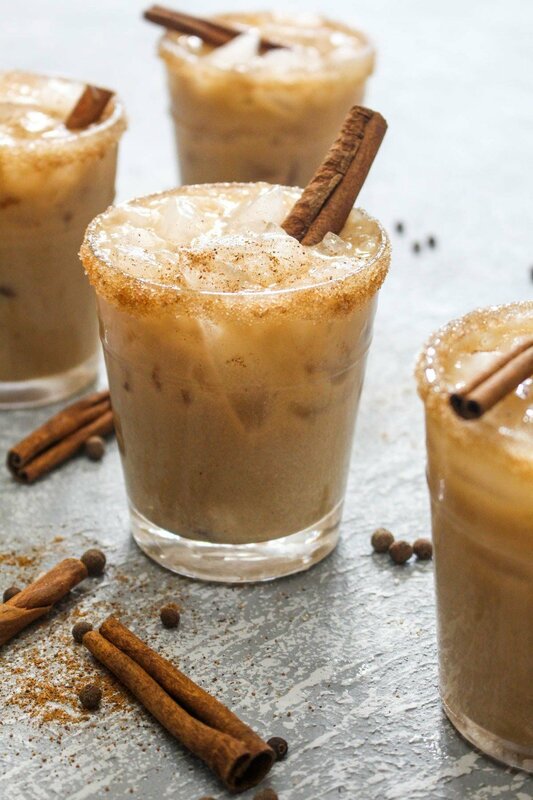 Once the almond milk has chilled, add in the coffee liqueur and vodka, and stir. Place ice in a glass. Pour the cocktail over the ice and serve.